There are approximately 30-35 feral cats at the Dockyard. The cats have heated shelters, and are monitored daily by dedicated caregivers who provide food, water, and healthy treats. Learn how you can contribute to their care through sponsorship. 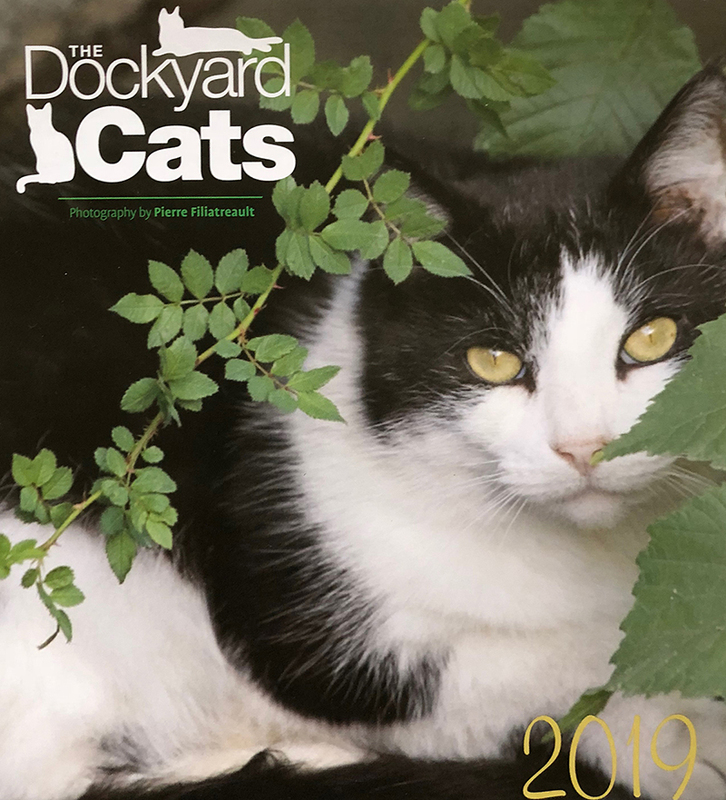 PACS largest fundraiser is the sale of the Dockyard Cats calendar. All proceeds support the Dockyard Cats and other cats in need.